RE: Anyone ever build a "modern version" of an older set? 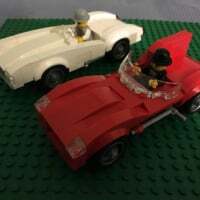 Seeing as how I eventually want to start building structures+being into cars, I wouldn't mind attempting my own modern version of 6561 Hot Rod Club. 2140 would also be a fun one as well. RE: 2016 Speed Champions who else is excited about these!!!! I know this looks rubbish but it serves the purpose of getting all prizes and numbers out there for now in one place.